Promoties van Royal Amsterdam in Amsterdam. Officiële Website. Come and enjoy the Royal taste! 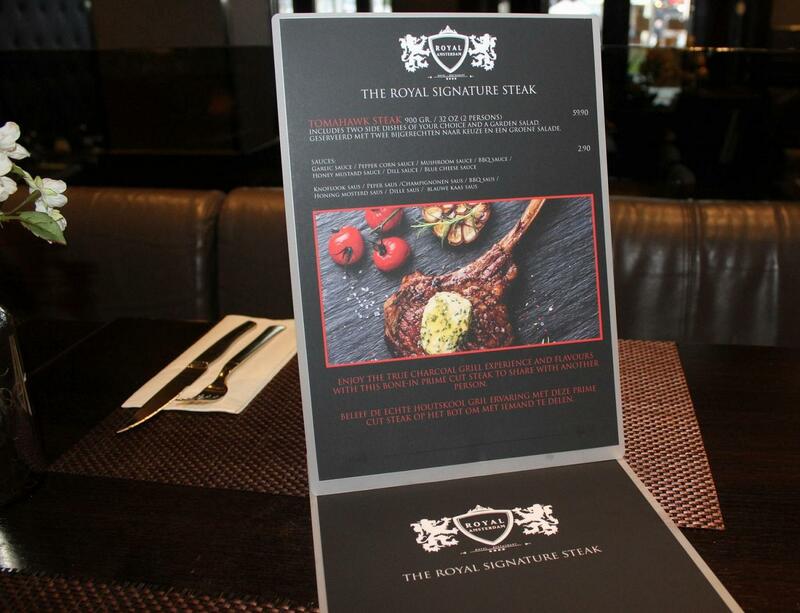 Using the code TOMAHAWK-Nov17 or showing us this photo you will benefit from a 10% discount on our restaurant Royal Signature Steak.